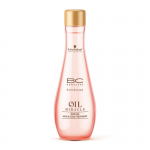 Moroccan Oil Treatment Light is designed for dry and delicate hair that has lost elasticity, radiance and which requires special treatment to prevent dehydrating. Moroccanoil Treatment Light is intended to ensure the correct level of hair moisture. 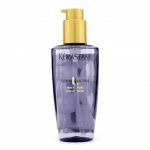 It is especially recommended for bleached hair, whose structure has been weakened. Moroccanoil Treatment Light contains Argan oil which is irreplaceable in hair care because it sensibly protects the strands from the effects of high temperatures. Another component is flaxseed extract which improves the condition of dry hair. It provides moisture and takes care of the water-lipid layer. The extract of Linseed oil is supported by Argan oil because it has the power of B vitamins (one of the most important vitamins for hair). There are also elements like magnesium, calcium, zinc and iron; Thanks to such composition, the hair is strengthened, the protective coating is improved, the hair stops thinning and the bulbs are reinforced. 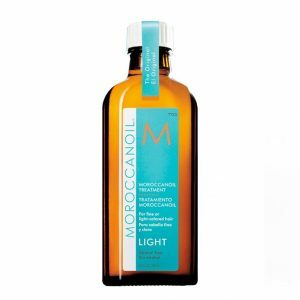 Moroccanoil Treatment Light is a product that is thick enough to be applied to the hair and not drip. Do not apply it to the scalp, and frequent use may threaten with overloading the hair with proteins – the, it will be frizzy and difficult to style. The oil is very efficient and the pump attached to it works perfectly. Morrocanoil Treatment Light can be applied as a leave-in hair conditioner or heat protection, or a hair mask used before washing.